Put down your tweezers, throw out the brow products and take your HD Brows Stylist off speed dial. Although this may sound like your worst nightmare, the un-kept brow was certainly a key feature at many shows this season. Forget spending time painstakingly perfecting arches with powder or pencil; Rodarte, Caroline Herrera, Holly Fulton and Max Mara amongst a few were all about less is more and left brows au natural! An explosion of glitter seems to have hit the fashion weeks, with the dazzling dots being seen on eye lids, cheeks and faces – and brows were not about to be left out. Daring, yet somewhat amazing, the one line of glitter under the brow arch as seen on the catwalk of Giambattista Valli in Paris has stormed the world of brows. Simple, futuristic and easy to recreate, will you be attempting a glitter brow? A huge trend that emerged from the A/W 16’ fashion weeks was the bleached brow. The thought of foregoing your perfectly groomed and defined HD Brows to bleach them into disappearance may bring you out in a cold sweat, but this style was seen all over the catwalks, from Givenchy and Saint Laurent in Paris to Marc Jacobs in New York. 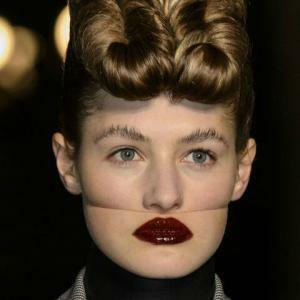 It’s a statement for sure, but invisi-brow…we think we might skip this trend! 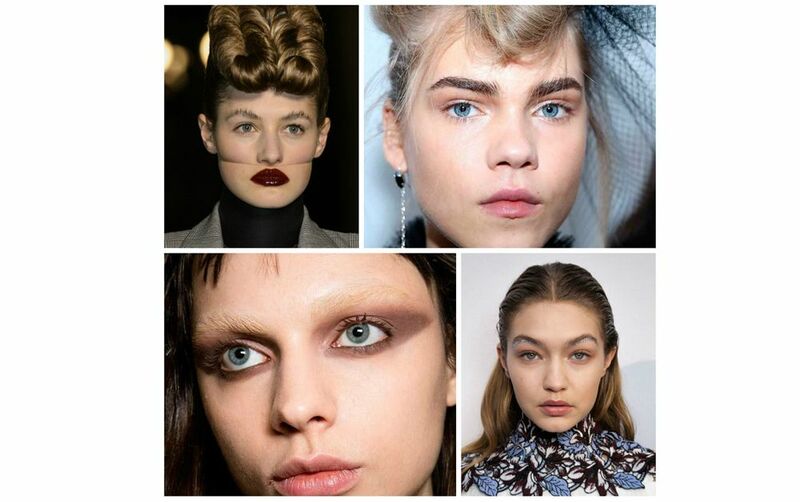 A sigh of relief from you big brow lovers, the bold power brow still reigned at Preen, Isabel Marant and Topshop Unique, as they gave a nod to the 80’s with stand-out arches! With the emergence of the natural, un-kept brow, it’s safe to say that there will always be a place for a classic bold eyebrow. So find your nearest HD Brows Stylist and stock up on your favourite brow products, it’s time to create some statement brows – phew! 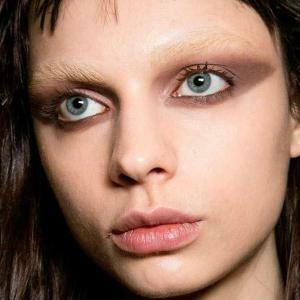 Taking the brushed up brow to an extreme, Gareth Pugh made sure all eyes were firmly on the eyebrows in London, with the help of some gravity defying elastic to keep every hair brushed up to its full potential. 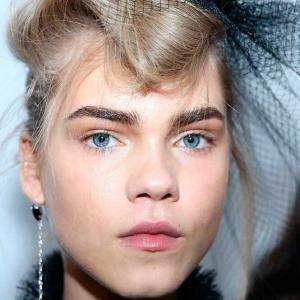 Max Mara in New York also pursued the trend and finished his looks with severe brushed up brows. 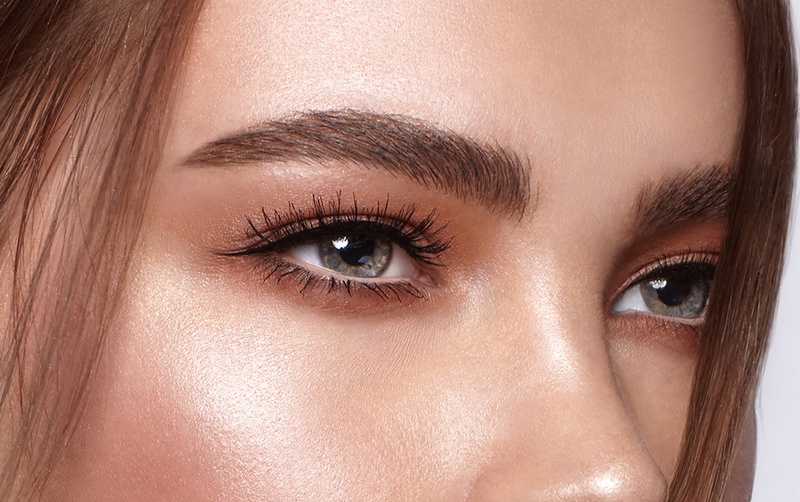 We agree that brushing up brows is great for creating a little extra texture and volume in a brow, however we’re not too sure if we’ll be brushing up our brows to this intensity! Want to keep updated with the latest brow trends? Follow us on Facebook, Twitter & Instagram.